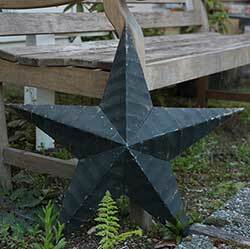 Amish Barn Star - authentic, made in the USA by Amish farmers! Hand-pressed from salvaged roof tin, each is unique. This is for the 22 inch BLACK star.